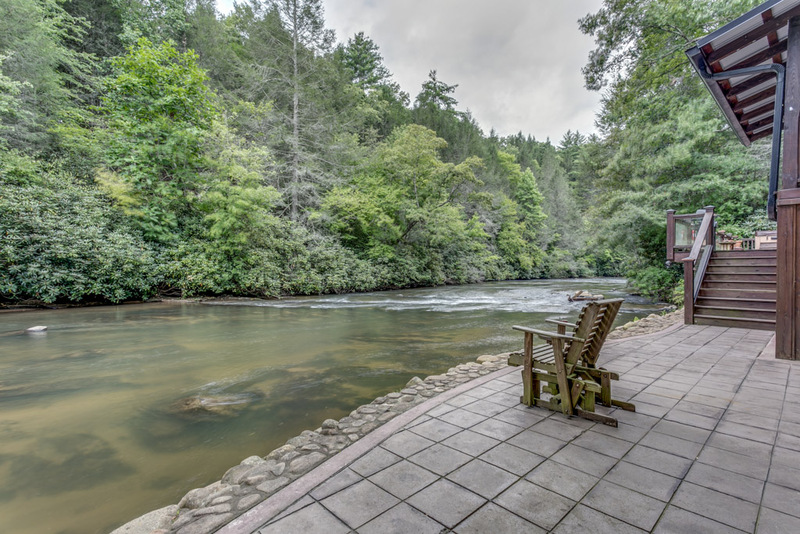 Here's a vacation cabin rental near Epworth and McCaysville that delivers exceptional value if you prefer riverfront access, trout, comfortable furnishings and plenty of space for your family or small group. You'll appreciate the privacy too. 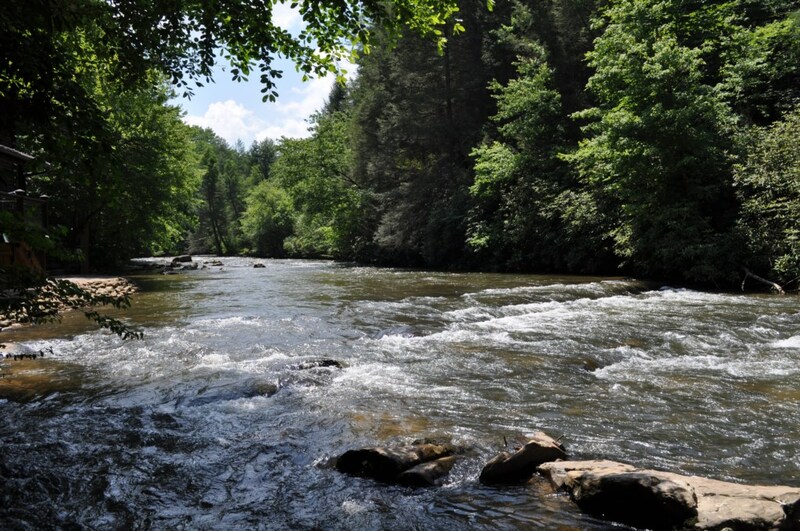 Stay in this cabin located on the banks of Fighting town Creek. 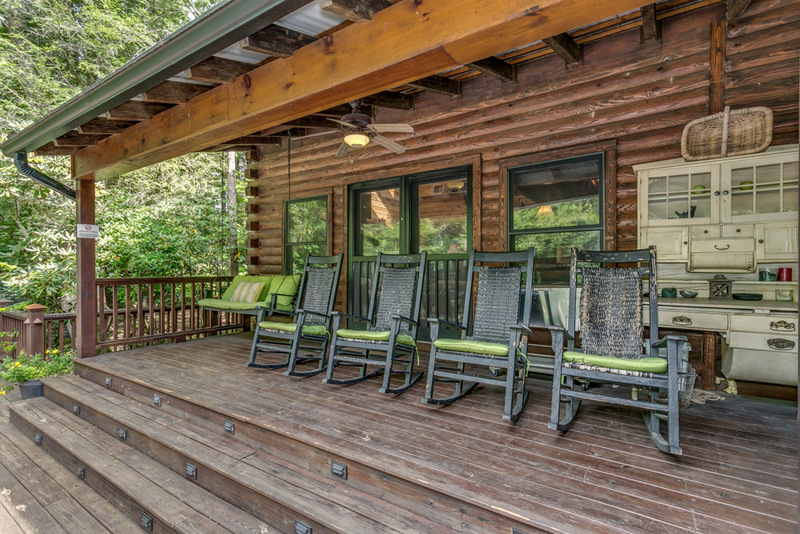 This rental cabin is a real gem. Amenities Fighting town Creek Frontage Fish From the Cabin Wi-Fi Easy Walk-In Fighting town Creek Access Dual Side Seasonal Gas Log Fireplace (Available October 1st - March 31st) Seasonal Wood Burning Fireplace (Available October 1st - March 31st) Picnic Table on Covered Porch Overlooking Creek Creek side Fire Pit (Guests supply firewood) Creek side Swing Rockers on Covered Deck Overlooking Creek 48in flat screen TV in Great Room with Cable & DVD Queen Bed in Main Level Bedroom with 24in flat screen TV, cable & DVD Full Bed in Main Level Bedroom with 24in flat screen TV, cable & DVD Queen Bed in Loft Level Bedroom Twin Bed in Loft Level Bedroom with 24in flat screen TV, cable & DVD Gas Grill Fully Equipped Kitchen Blender Microwave Walking distance from A Tranquil Place cabin Short drive to whitewater rafting & horseback riding Within minutes of shopping & dining Complimentary bath soaps & 1 single use laundry detergent left for each stay. 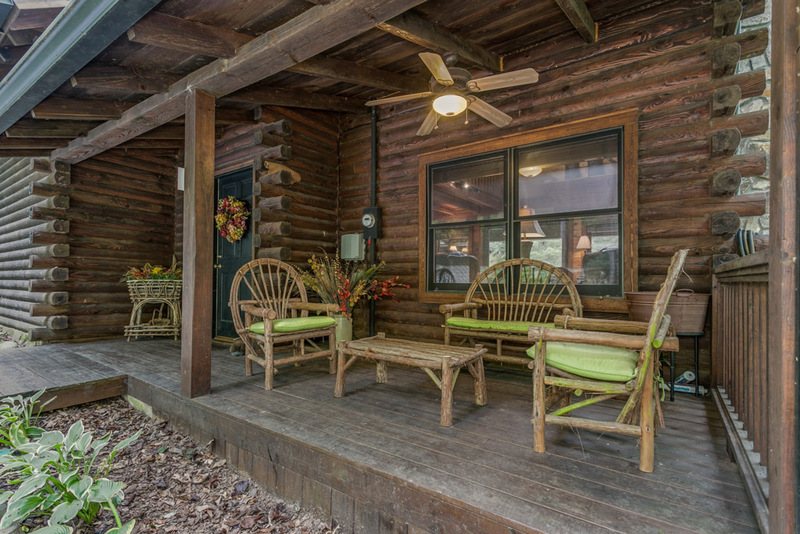 Trinity Waters Cabin is nothing short of absolutely stunning. 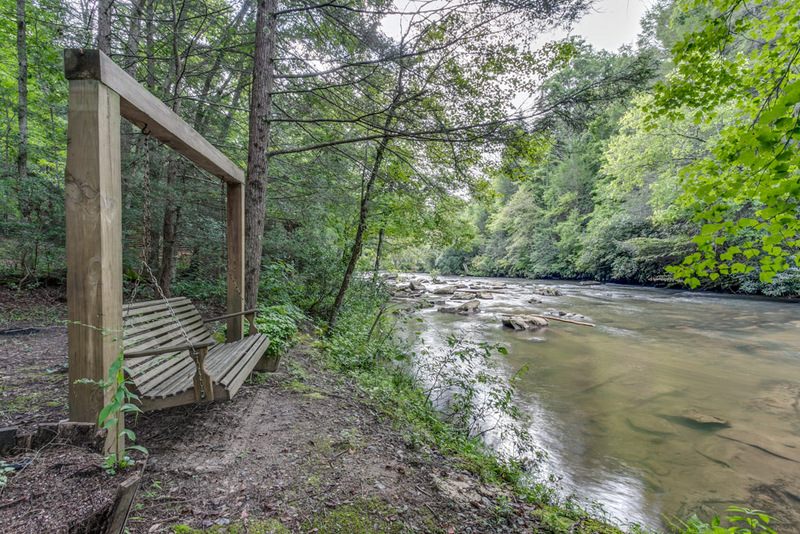 The soothing sound of rushing water, the cool shade of the wooded large level lot, the rustic elegance of the cabin design and décor, Trinity Waters is the perfect place for you to experience the unique tranquility of Fighting town Creek and true relaxation in the North Georgia Mountains. 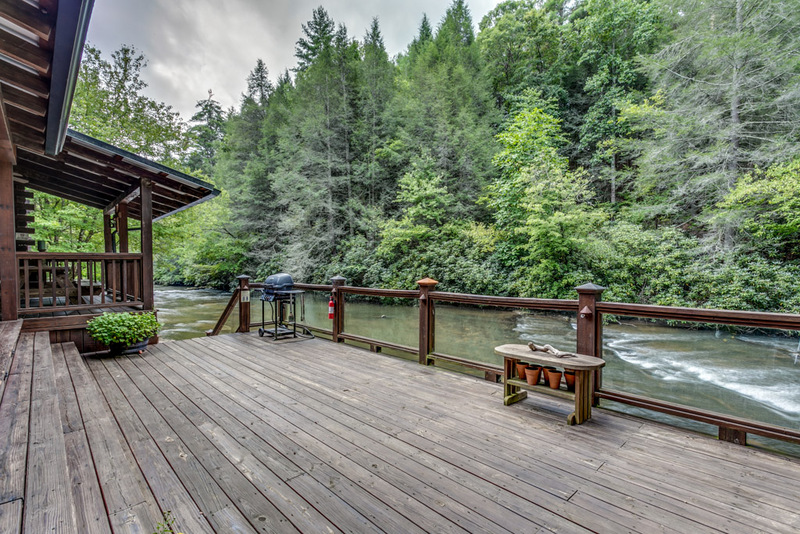 Included with the creek is a split level deck, covered picnic table, gas grill and plenty of areas to relax. 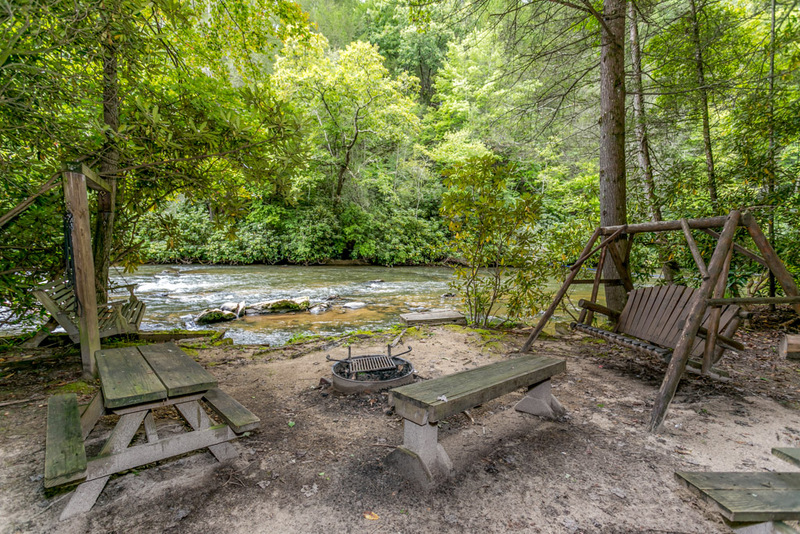 Spend time outdoors with your family and friends in the large shaded picnic area with fire pit, creek side swing and plenty of water. 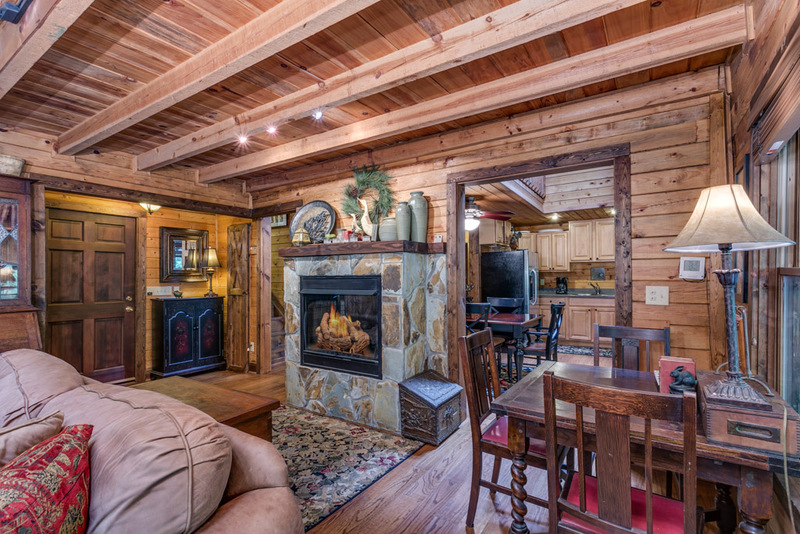 Inside the cabin, the kind of special attention to details that only comes from years of love and use as a favorite family retreat characterizes the space. Trinity Waters feels loved because it has been, warmth radiates from every square inch. The cabin main level houses the cabin great room, dining area, kitchen, two bedrooms, each with a Queen bed, and a full bath. 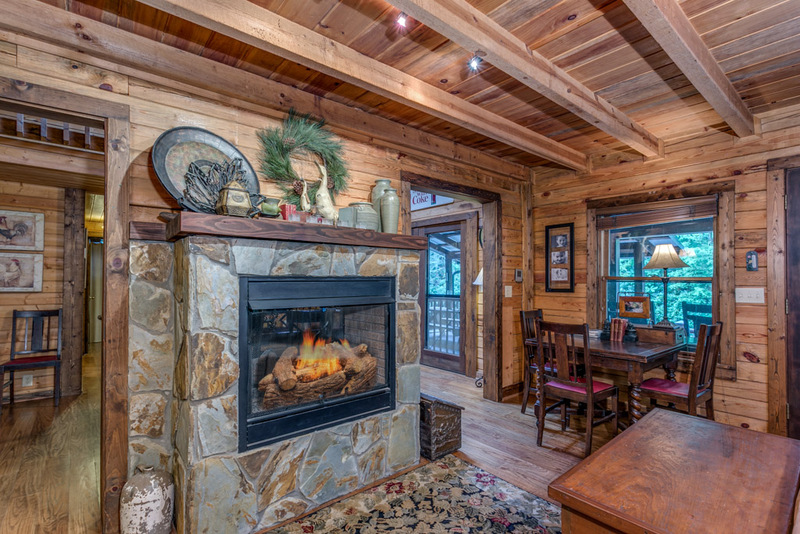 Imagine a cozy living area where no matter which seat you choose to curl into with a book you have a view of a crackling real wood fire. What about a plush bed, where you instantly melt into the luxury of the linens, the airiness of the room, where the sounds of Fighting town Creek play an irresistible lullaby. 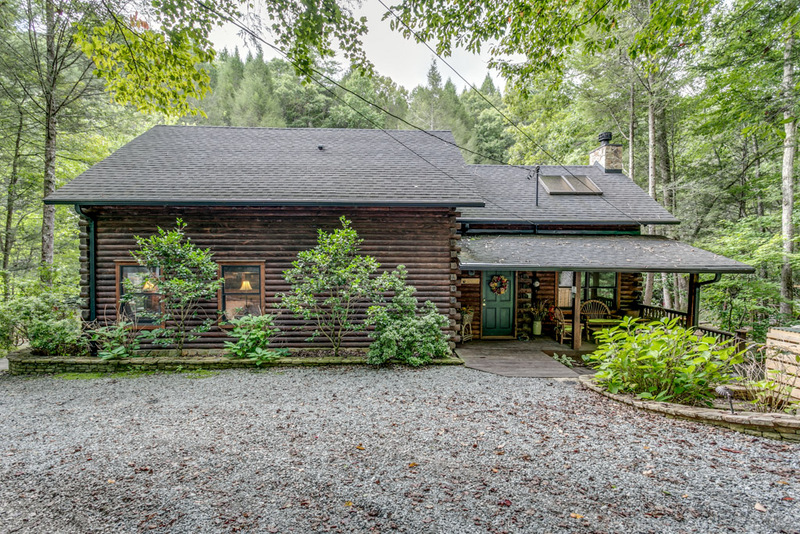 Or a quiet family meal gathered around a table with views of water outside and the warmth and ambiance of a second dual side propane fireplace glowing in the background. 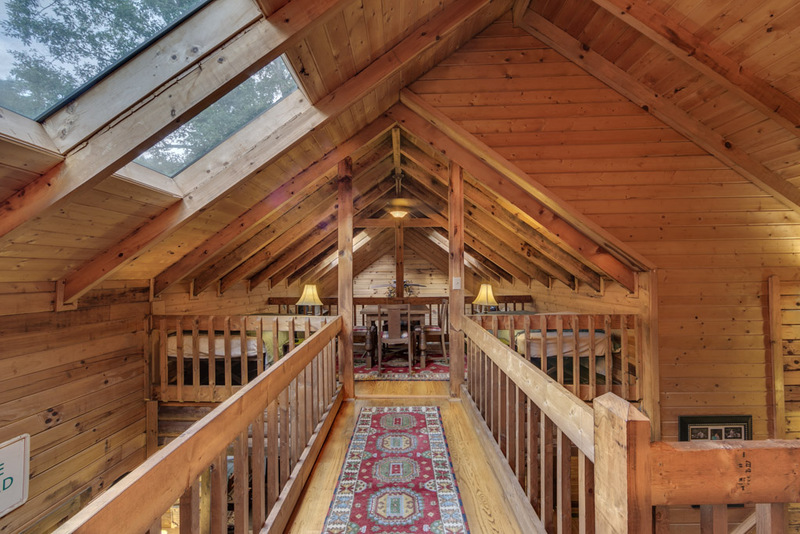 The cabin’s second level has a catwalk loft overlooking the open floor plan of the great room and kitchen below. There are also two bedrooms, one with a Queen bed and the second with Twin beds, and a shared full bath. 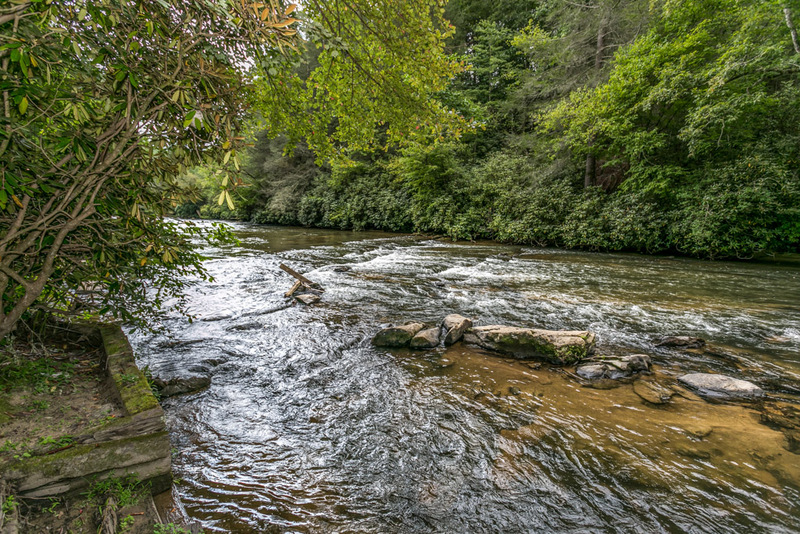 Trinity Waters is a short drive from downtown shopping, dining, and all the activities the area can offer! 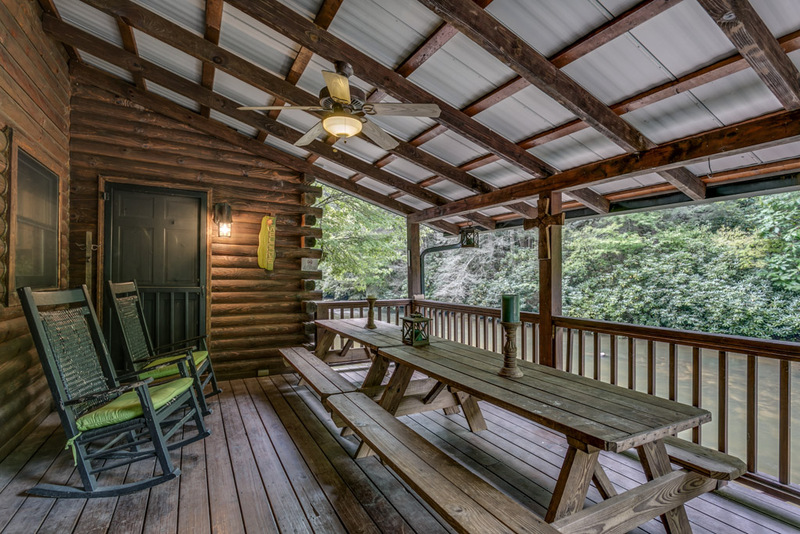 And the cabin is within walking distance of another of our rental properties A Tranquil Place, making the pair an ideal location for multiple families or a group of friends looking to get away together. 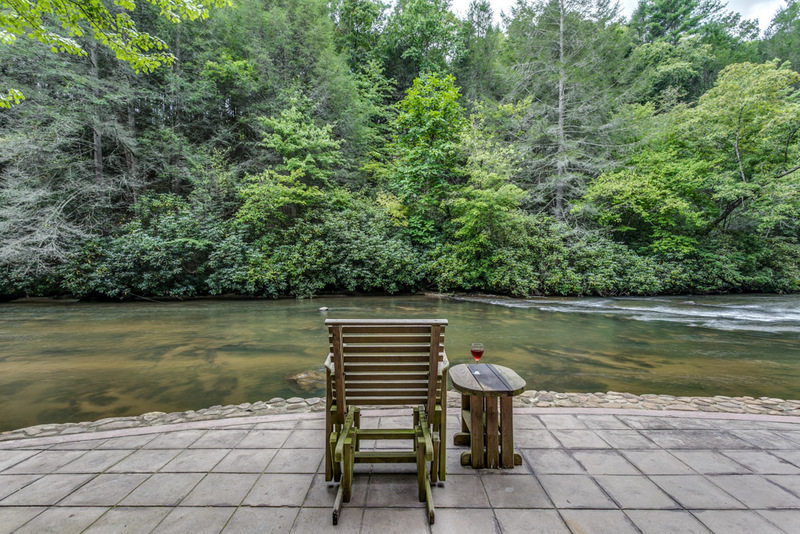 With so many perfect spots for relaxation at Trinity Waters, it’s not a question of how you will spend your time at Trinity Waters but at exactly which spot you will find your bliss.